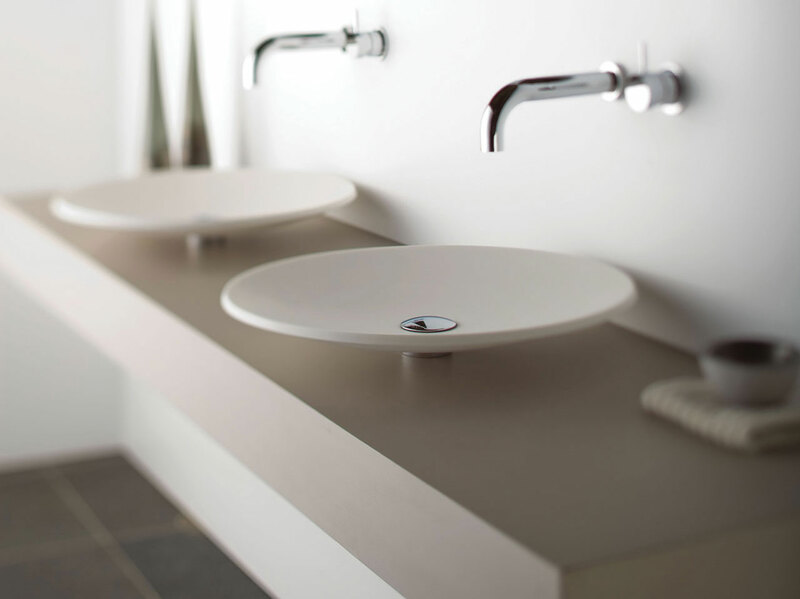 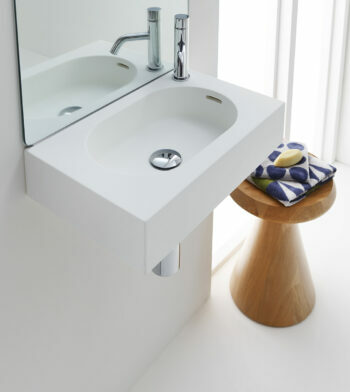 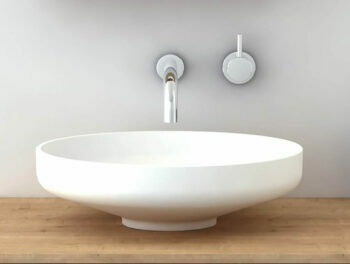 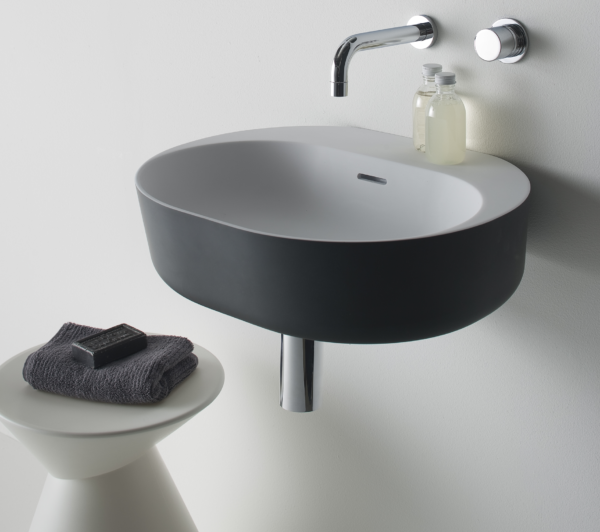 The classically elegant Pond™ basin is a shallow vessel which is lifted off the bench top by the spacer, creating the appearance of a floating vessel and allowing for easy cleaning. 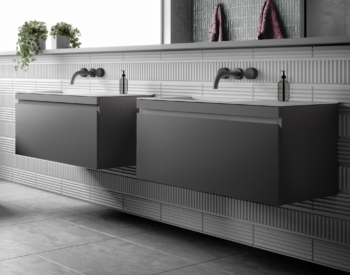 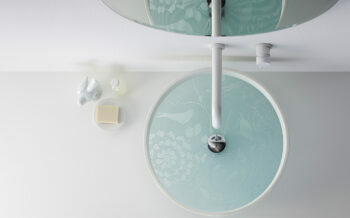 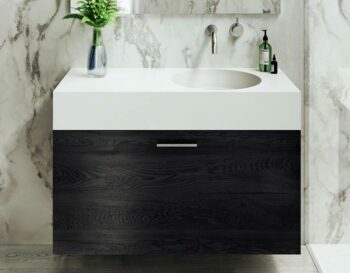 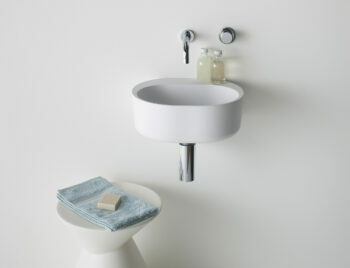 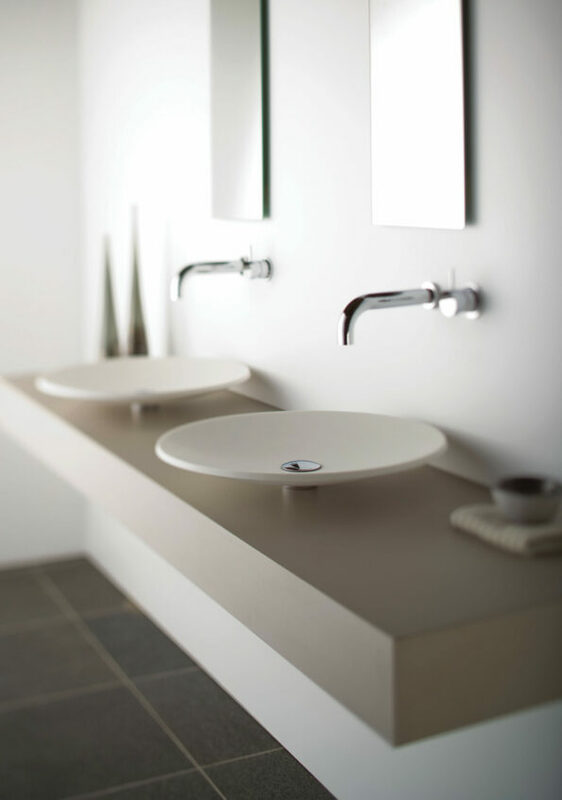 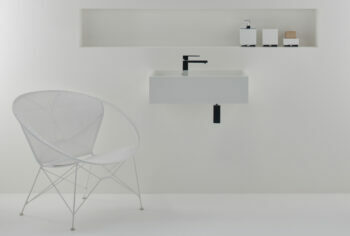 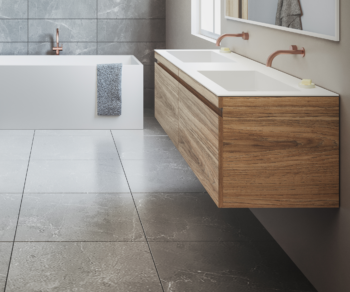 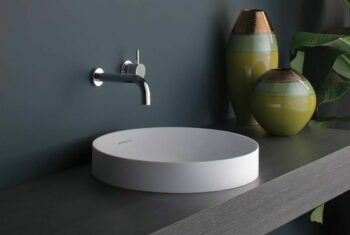 With its simplicity, Pond™ is a beautiful feature to any bathroom. 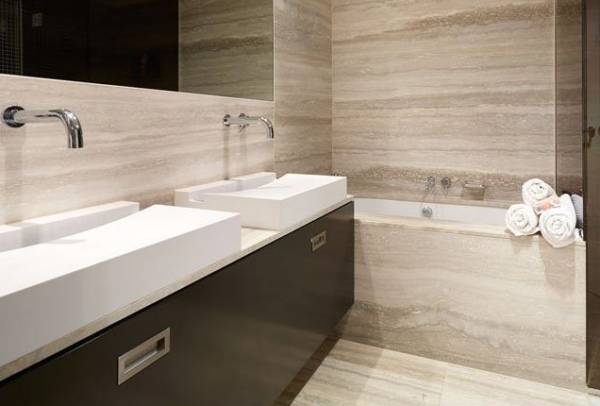 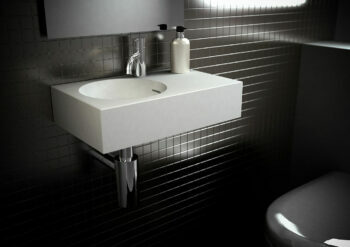 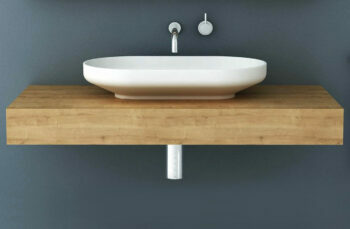 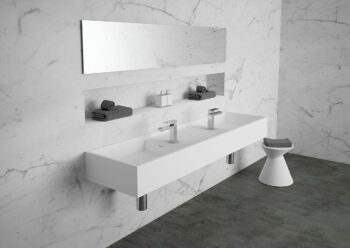 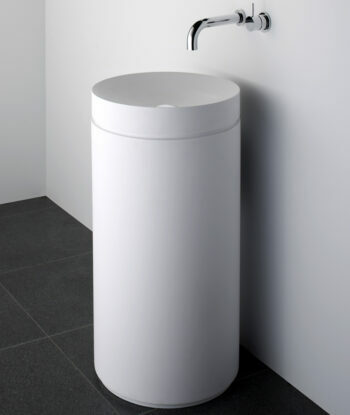 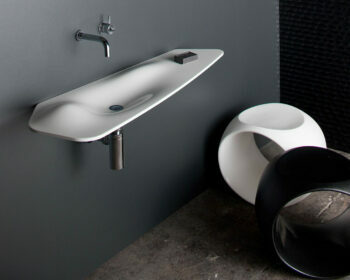 Manufactured from solid surface it has a smooth matt finish that is exceptionally hard wearing, and durable. 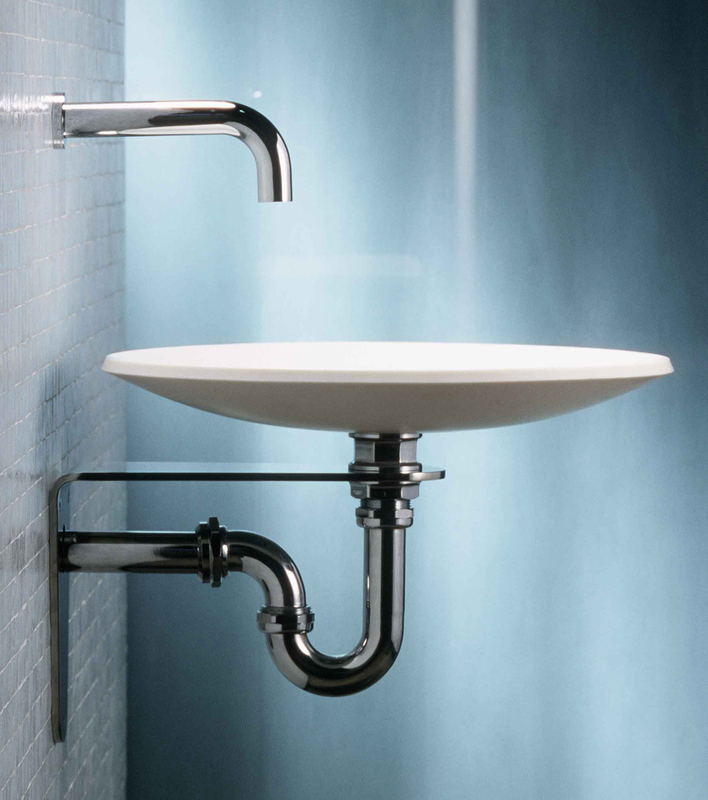 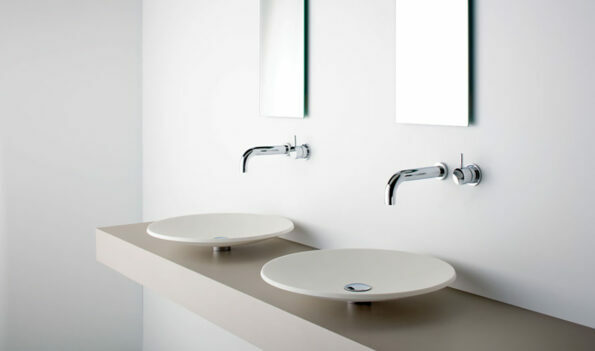 Pond™ is designed to accompany mounted tapware and is supplied with a chrome pop up plug and waste.